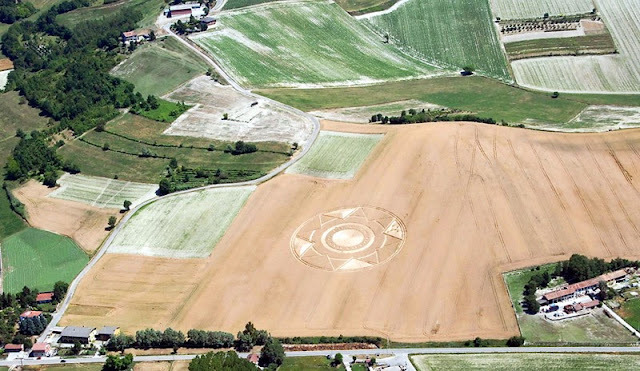 A brand new crop circle appeared in Robella, Italy, June 30, 2013. It appears to be the third in a sequence of stars which began in June of 2010, all in Northern Italy, according to a report by the Alien Disclosure Group, UK blog. The star in June 2010 was six-pointed, in June of 2011 a seven pointed star appeared, and now this eight pointed star, all of them seem to contain what looks like a binary code. 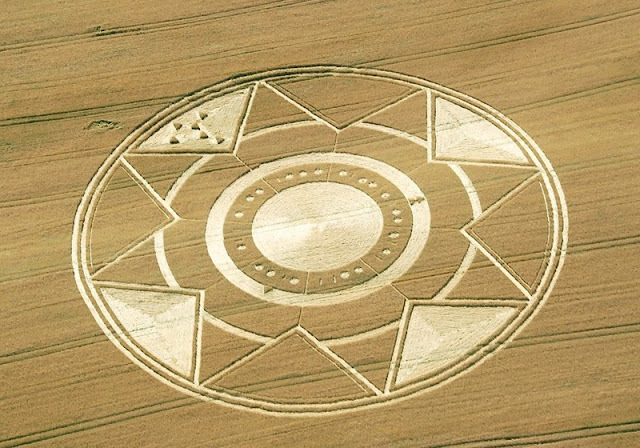 Near Asti, at the foot of Robella (just over 500 inhabitants) is located by Sunday morning a new and interesting crop circle. At first glance the dimensions seem relevant, and good workmanship. Very soon the community of the circles will certainly searching for the symbolic meaning of those shapes, and then we will give account, for example of the meaning of those points within a triangle perimeter of the crop circle, the work of artists and certainly not pranksters or newbies (nor even aliens). Some have calculated out the code within the star to represent elements on the periodic chart: Potassium, Hydrogen, Deuterium and Sulfur. If this is correct, what are the implications of this code? We can look at the basic information known about these elements and then play detective seeing what might come out of the simple act of looking. Hydrogen is the ‘simplest and most abundant element in the universe.’ Hydrogen is the raw fuel stars burn in order to create energy and is an important part of the manifested liquid form of water.